Neck pain? Back pain? Rounded shoulders? Head tilted down? Any of these sound familiar? In today’s technological society, we are almost always staring down on our devices. We work 8-5 jobs where we sit in front of a computer for most of the day. We are addicted to our smartphones and are always tilting our heads down to look at the phone. These are things that will not change and will only be getting worse as technology advances. Unfortunately, it leads to terrible posture and can potentially lead to help problems. According to surgeons and spine experts, the head weights about 10-12 pounds. When you constantly lean your head forward and down to look at your phone it equates to a 60 lb weight pulling on the spine. This is why we are starting see so many more back, spine, neck, and head injuries and soreness from something as simple using a smart phone and getting angry at twitter. So what should you do to fix or counteract these issues? Here are some helpful tips that I’ve used to fix my posture and improve my fitness levels. Pull your shoulders back, roll your hips forward and look straight ahead: Everyone’s posture is different but oftentimes, these simple tricks will get you closer to a true, natural posture. Whenever you start to notice your posture is slipping, take a minute to really focus on these three areas and concentrate on keeping everything aligned. Strengthen your Core! Core (front and back) strength is essential to proper posture. Here are a few core exercises that you can do in less than 10 minutes on a daily basis that will prove wonders for you core strength and, in turn, your posture. Planks: Both high and low planks are amazing for full core and back strength. Take a few minutes each day to hold a high plank. Don’t worry about how long you hold it for, just make sure your form is perfect and hold it until you can no longer howl perfect form. Best thing about planks is you can do them pretty much anywhere. You can even do them at work. Find and isolated area and hold. It’s a great way to get the blood flowing when the day feels like it is dragging along. Superman: This is a great one for your lower back, which is a key area to strengthen for better posture. Lay flat on your stomach with your hands extended out in front of you. Lift your legs and chest off of the ground and hold for 5-10 seconds. Then return back to the ground and rest for 5-10 seconds. Repeat until failure. As your back gets stronger, you can add in a medicine ball to lift with your arms. This will add more weight forward and help strengthen your upper back as well as your lower back. Leg Lifts: This exercise is great to strengthen your lower core muscles. This area is key to help keep your hips forward (an area that is typically not thought of having an impact on posture). Lay flat on your back with your hands by your side. Lift your legs about 6-inches to a 1-foot off the ground and hold until failure. Drop your legs and rest for 15-20 seconds. Then repeat until failure. Office Equipment: If you work an office job like me, then you spend most of your day sitting in front of the computer and killing your posture. One easy way to help fix the posture while sitting at the desk is to sit all the way forward in your chair. 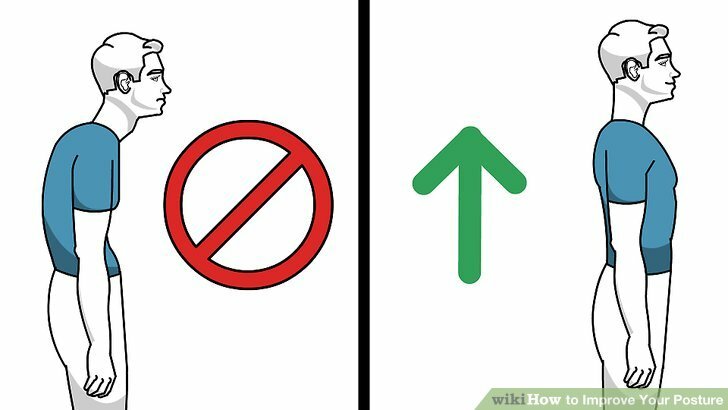 Also, align the computer monitor’s height to the same level as your eye-level when looking straight ahead. Other options to fix your posture at your desk it to get two things. Get a standing desk that can be raised and lower. 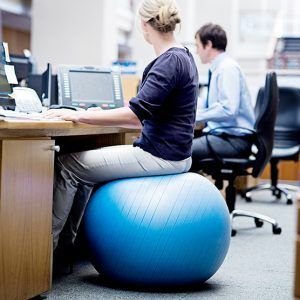 This will allow you to alternate between sitting and standing throughout the day. Your muscles will get sore if you stay in either position too long. Alternating between standing and sitting will allow your muscles to stay fresh and not get tired and lose posture throughout the day. 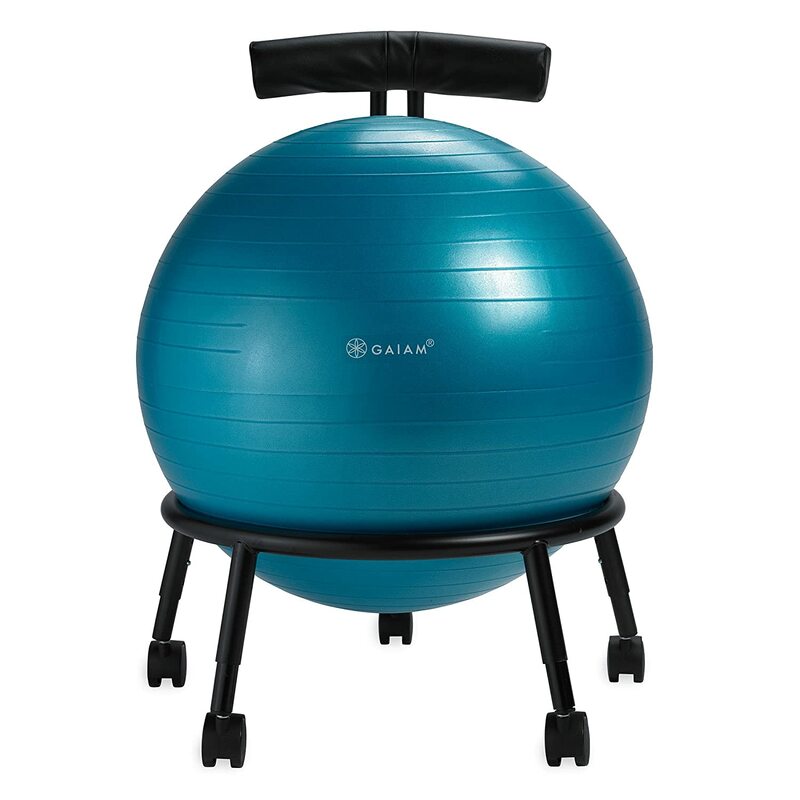 The other item you should get is an Exercise Ball/Yoga Ball for a chair. This will help your posture because it will force you to sit up straight and not slouch. Posture Brace: A great tool to help you improve you posture! A posture brace will help keep your shoulders back and chest forward. I have one that I will typically wear for a few hours a day when I am at home doing chores or if I am running errands. A brace is great during these monotonous activities where we aren’t focusing on making sure our posture is aligned. During these activities, we are just going through the activities and trying to get them over as quickly as possible. Hope you find these tips and exercises useful. If you have any other tips or tricks that you find work well for you, please feel free to comment below! Posted on January 14, 2018 January 14, 2018 by jmarksfitlifePosted in FitnessTagged alignment, core strength, exercise, fitlife, Fitness, Health, Motivation, posture, stand tall, tips.